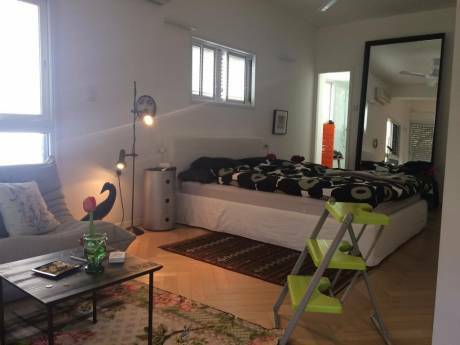 Our cosy 4 room flat is based in the most central part of Tel Aviv. We have 3 rooms with a double couch bed in the lounge if needed. The master bedroom has a TV and cables and the two bathrooms offer to toilets. 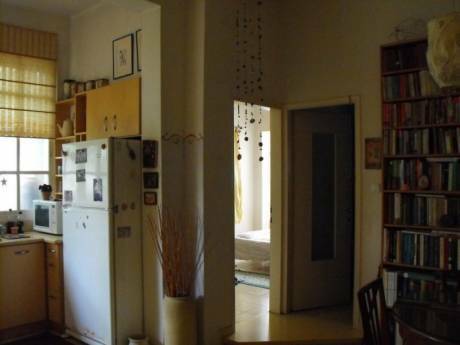 The kitchen has everything needed with gas cooker and electric oven and microwave. Our quiet garden at the back offers a place to take in a breath of fresh air in 24/7 without leaving the home. The home has air conditioning in all rooms. 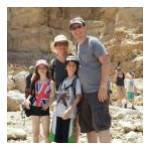 We are a family of 4 originally from Scotland and Israel. Our kids where born in Amsterdam. We are a fun family that love to eat well and have plenty of fun. 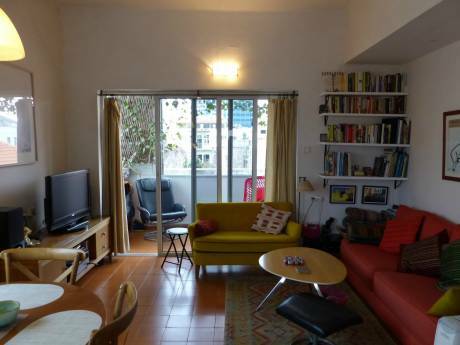 Our home is in one of the most loved streets in central Tel Aviv. Its 1 min walk to fresh fruit store, boutiques on Shenkin Street and 10 mins to the Carmel Market. Its 5 mins in a cab to the beach or 20 min walk. Our home is cosy and the location is unbeatable. You can stroll down the enchanted Rotschild Boulevard down to Neve Sedek and eat all the way along Tel Aviv's top restaurants.